Shortly after the attack Uhuru Kenyatta, the President of Kenya, said “all terrorists have been eliminated”, blaming Al-Shabab militants. The attack started just after 3pm on Tuesday with an explosion in the hotel car park. This was followed by a suicide bomb in the hotel foyer, wounding several hotel guests. The siege lasted for a total of 19 hours. Kenyan authorities sent in special forces to ambush the attackers. 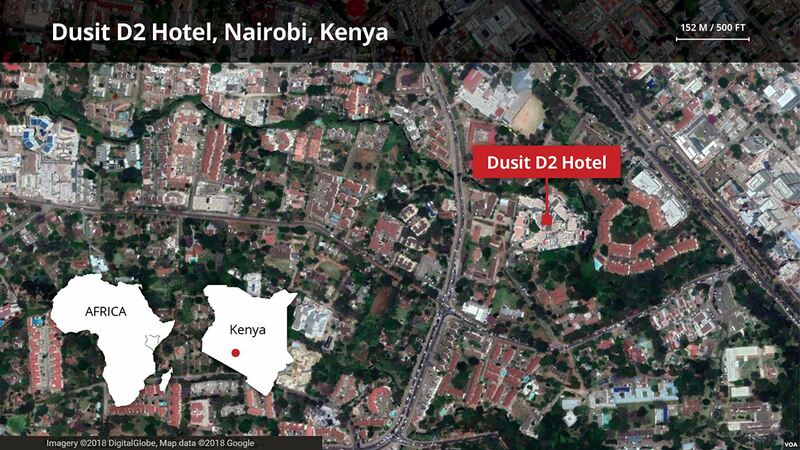 Kenyatta did not mention how many militants were involved in the attack, but local media broadcasted CCTV footage showing four heavily armed men entering the hotel complex. It is now thought at least 5 militants were involved in the attack. Two people who allegedly facilitated the attack have been arrested. Al-Shabab, a militant organisation based in Somalia, claimed responsibility for the attack. The group has said that the attack was carried out in response to Donald Trump’s decision to recognise Jerusalem as Israel’s capital. This is the first attack in Nairobi since Al Shabab’s attack on Westgate shopping mall in 2013 which killed 67 people. See more from Al Jazeera here and here and the Guardian here.